Do you know what a “regenerative farmer” or a ‘regenerative wine producer” is? Think in terms of an organic producer or farmer on steroids. The intent is to put carbon back into depleted soils and in so doing bring them back to life, to levels of health not seen in many, many decades. Healthy soils produce healthy crops, require little if any fertilization, support a healthy community of bacteria, and retain water, requiring little if any irrigation. As far as grape growing and wine making is concerned, healthier soil yields stronger, healthier grape vines that produce higher quality grapes, increased yield, and perhaps most important of all, grapes that express the “terroir” of the land much more than normal. Winemakers pride themselves on how expressive their wines are of the soil, the mineral content, and its various other components. Healthy soil allows all of that to happen. “So what?” you might ask, “Why should this concern me”? Good question, this blog will outline some of the reasons why you should be concerned, and will highlight some of the wineries who are doing something about it, with good results. I am going to assume that pretty much everyone in the modern, well informed world (with the possible exception of Donald Trump), are convinced that global warming has caused extreme climate change. California wildfires consume huge tracks of parched dry land (destroying several vineyards and coating several more with a black soot rendering this year’s crop useless), a killer frost in Bordeaux at the end of April 2017 destroys many grape vines, monster hurricanes lay waste to much of the Caribbean and ravage US coastal regions, and all the while average temperatures around the world continue to climb. Carbon dioxide in the atmosphere continues to increase, while desertification continues to grow as more and more soil converts into worthless dirt, and all of the nutrients are leached out of it. As more and more arable farmland weakens in nutrients and good bacteria, more and more fertilizer is required to grow produce in that increasingly nutrient deficient soil. This past October, I attended the Living Soils Symposium Montreal, a 3- day conference which discussed regenerative agriculture and its potential to sequester atmospheric carbon while simultaneously restoring our fresh water reserves, preventing desertification and restoring the nutrient density in our food. The event was a huge success, and highly informative. This event spawned the creation of Regeneration Canada, a non-profit organization dedicated to building a national movement aimed at teaching farmers, food manufacturers, governments, and others how to rejuvenate and restore depleted soils by absorbing the excess carbon dioxide from our atmosphere back into our soils, through simple basic farming practices. This process will reverse the harmful effects of climate change and restore badly depleted farmlands to their natural healthy state. 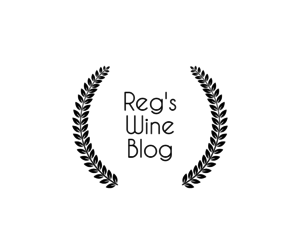 So this sounds like a great plan of action to me, but how does this tie into this wine blog about regenerative wine producers? After some research I found 5 wineries engaged in either regenerative wine production or very sustainable practices. 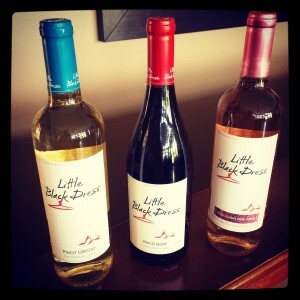 Two of them are local Canadian wineries in the Niagara region, RedStone Winery and Southbrook Vineyards. Chateau Maris is located in the Minervois district of the Languedoc in southern France, while Chateau Smith Haut Lafitte is found in the Pessac-Leognan region of Bordeaux. But by far the largest, and most recognized for their sustainability efforts, in this group is Fetzer, in California. Southbrook Vineyards – Southbrook was Canada’s first vineyard to become certified by Demeter, the international certifying body that oversees biodynamic agriculture. Southbrook believes that the farm should be a self contained unit, where all materials including animal feed and manure are produced within the farm. Southbrook believes in the natural rhythms of nature and observing and responding to the environment in an organic way. They believe that this will create a unique terroir and ecosystem on the vineyard which will also result in vibrant and unique wines. Chateau Smith Haut Lafitte- The Chateau plants the baby vines that they have grown in their grapevine nursery, which is a protected ecosystem on a separate island. This results in the winery successfully protecting the genetic diversity of their vineyard and nursery. Chateau Smith Haut Lafitte undertakes significant efforts to enhance microbial life in the soil such as adding their own organic compost and planting hedges and trees. They introduced beehives on the estate and they even plough their white wine fields with a horse! The Chateau was asked to present their environmental protection initiatives at the United Nations Climate Change Conference in Paris, December 2015. Based on the principles of a circular economy, the Chateau recovers rain water, recycles waste water, uses solar panels and transforms vine cuttings into compost or uses them for heating! Everything is regenerated. Chateau Smith Haut Lafitte is currently owned by Daniel and Florence Cathiard. They bought the 78 hectare estate in 1990. They both skied for the French Olympic ski team in 1965, and made their money selling their sports retail store chain “GO Sports” to fund the vineyard purchase. Their bio precision approach to wine making includes low intervention, bio dynamic viticulture, and even satellite technology that tracks grape ripening in their vineyards. Famed wine grower and consultant Michel Rolland also consults for them. 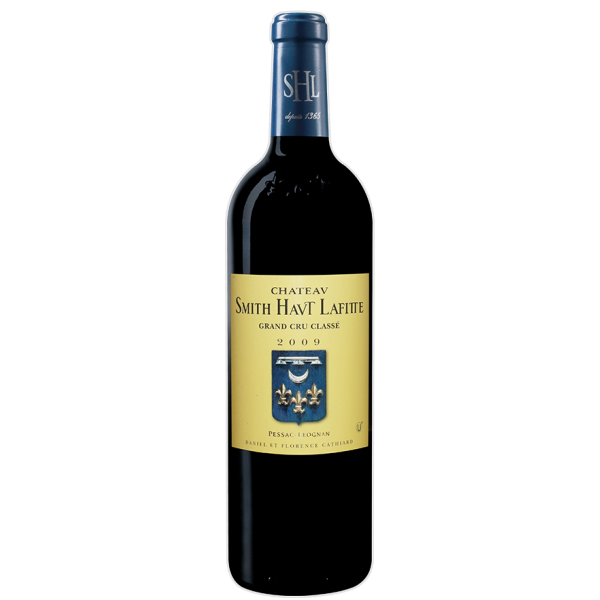 For the last 19 years (since 1998) Chateau Smith Haut Lafitte has been rated by wine critics at 90 points plus every year. The wine costs in the range of about $125 – $150 per bottle CDN. In 2009 famous wine critic Robert Parker rated the wine at a perfect 100 points, and the price of their wine doubled almost immediately, and now that vintage costs about $360 per bottle. The estate also produces an equally as good Chateau Smith Haut Lafitte Blanc, pictured above, and 4 second wines named Le Petit Haut Lafitte (red), Le Petit Haut Lafitte Blanc, Les Hauts de Smith (red) and Les Hauts de Smith Blanc. The second wines are not quite as good in quality, but are often rated 90 points plus themselves, and normally cost half the price of their top quality label. In Ontario, at the LCBO you can buy the 2014 Chateau Smith Haut Lafitte red for $149.85 (495911), this wine is rated at 94 points by the Wine Spectator. In Quebec, at the SAQ you can buy the 2013 Chateau Smith Haut Lafitte white for $175.75 (13260080), rated 96 points by the Wine Spectator. You can also buy the 2014 Le Petit Haut Lafitte for $50.25 (13395030), rated 90 points by the Wine Spectator. Chateau Smith Haut Lafitte also have one of the best storage cellars in Bordeaux, housing up to 1,000 barrels in their all underground cellars, see below. Does this give you “cellar envy”? Fetzer- Fetzer is certainly the leader in the sustainable wine-making arena, though their commitment is more to sustainability and to becoming carbon positive by 2030 than to regenerative agriculture specifically. Fetzer vineyards was among 19 global enterprises and the only wine company to receive a “Momentum for Change” Climate Solutions Award for climate action at the UN Climate Change Conference in Bonn, Germany (COP23), which took place in October 2017. The sheer volume of wine they produce makes it difficult to practice 100% regenerative agriculture, the Fetzer group of companies generated sales of $156 million US in 2010 on 3.1 million cases of wine sold. Fetzer was founded in 1968 by the Fetzer family, who sold the company in 1992 to Brown – Forman (they produce Jack Daniels whisky) for $82 million. Brown – Forman sold the company 19 years later in 2011 to the Chilean wine giants Concha Y Toro for $238 million. The Fetzer group of companies consists of Fetzer itself, Bonterra, Five Rivers, Jekel, Sanctuary, and Little Black Dress. Their combined operation consists of 1,060 acres of vines, annual production capacity of 9.5 million gallons at their Hopland facility and another 1.6 million gallons at their Paso Robles facility. Fetzer itself produces 11 different wines, 4 reds (Cabernet Sauvignon, Merlot, Pinot Noir, and Zinfandel) and 7 whites (White Zinfandel, Sauvignon Blanc, Riesling, Pinot Grigio, Moscato, Chardonnay, and Gewurztraminer). All Fetzer products are value priced in the $8.00 – $15.00 US range. Bonterra, Five Rivers, Jekel, Sanctuary, and Little Black Dress each produce their own full line of wines in similar fashion to Fetzer. Fetzer is a zero waste facility- they reintroduce the grape’s skins, stems and seeds into the vineyards as compost and thus divert 99.1% of all winery waste from landfill or incineration. If that isn’t already enough, Fetzer was the first US wine company to operate on 100% renewable energy beginning in 1999. Additionally, Fetzer utilizes the power of worms and microbes to remove 99% of the winery’s wastewater. They are certified carbon neutral, while also being a certified BCorp, and they aim to empower ecosystems and local communities. Fetzer was also asked to present at COP 21 in Paris in 2015 to speak about their climate-smart wine-growing practices and have been implementing ever-improving sustainability efforts for decades. Well done! Fetzer and Bonterra wines are widely available in both Ontario and Quebec. In Ontario at the LCBO you can buy Fetzer Chardonnay (291674), Fetzer Cabernet Sauvignon (336974), and Fetzer Merlot (341131) all at $13.85, and Fetzer Gewurztraminer (222778) at $12.95. You can also buy Bonterra Cabernet Sauvignon (342428), Bonterra Chardonnay (342436), and Bonterra Sauvignon Blanc 2015 (86249) all at $19.95, and Bonterra Viognier 2015 (128900) at $21.95. In Quebec at the SAQ you can buy Fetzer Cabernet Sauvignon (00336874) and Fetzer Valley Oaks Fumé Blanc (00255448) at $13.60, and Fetzer Quartz White Blend (12074736) at $14.60. The Bonterra Viognier North Coast 2015 (00898767) and the Bonterra Sauvignon Blanc Mendocino County 2016 (11091905) both cost $20.05. The Bonterra Mendocino County Zinfandel 2015 (00530139) costs $20.10, the Bonterra Merlot Mendocino County 2014 (00897645) costs $20.95, the Bonterra Mendocino County Cabernet Sauvignon (00342428) costs $18.60, and the Bonterra Mendocino County Chardonnay 2016 (00342436) costs $18.55. Concha Y Toro, the current owners of Fetzer, also share the same vision of organic and sustainable wine growing. This is very important when you realize that Concha Y Toro have been in business since 1883 (about 135 years), and they are a huge wine production company with sales over $1 billion USD since 2014. 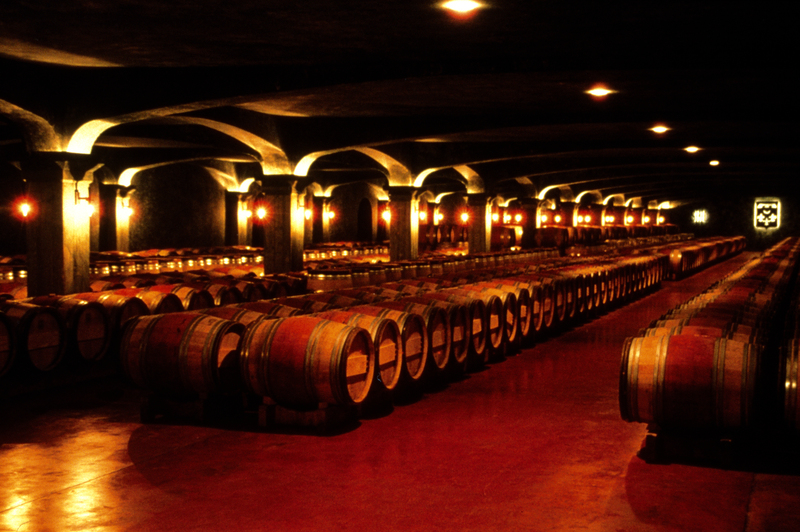 Concha Y Toro is the world’s 4th largest wine company by sales volume, and the world’s 2nd largest wine company by acreage under vine. This means that one of the largest wine companies in the world is fully committed to organic, sustainable grape growing and wine production methods. Hooray for the planet, a big player actually “gets it”! Regenerative agriculture is the way of the future and needs our support to make it mainstream. This is also an important means by which to fight global warming and climate change by sucking excess carbon out of the atmosphere. There is however a long way to go before all farmers, food producers, and wineries jump on board. Others producers will join the trend once they see the leaders making better product, and making better money doing so. Therefore, what we the consumer can do to support and encourage the growth of regenerative farming and sustainable wine production is to buy and consume the product. So the next time you visit your local wine store, buy a couple of bottles of Fetzer, or Smith Haut Lafitte, or one of the others mentioned above, and take satisfaction from knowing that you are helping to save the planet while you sip on your wine!